A perfect start! I was a bit anxious the night before the start of this festival and strangely was having weird nightmares about drawing peg 14!? Why didn’t I want that peg? 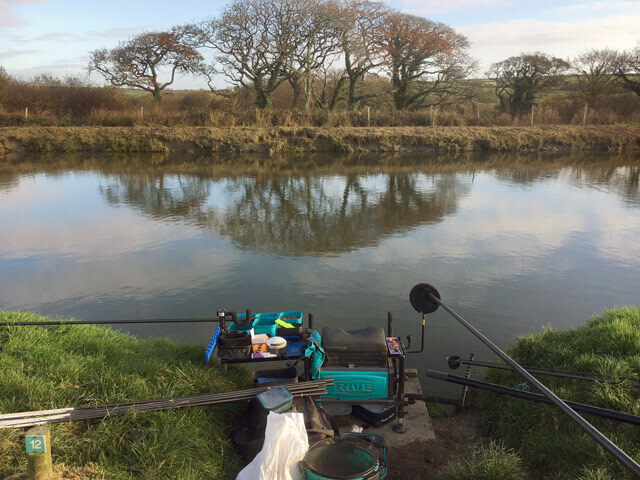 Well it would be the end peg on the day, next to peg 16 (the best carp peg in Cornwall) and it was carp soup the day before when lodge mate Mick Wilkinson sat on it in practice. He never saw anything other than a carp and gave up after zoo creature No10. I honestly felt that drawing that peg on Day 1 would spell game over for the festival. Maybe later in the week it’d be ok, but not early doors when the carp are still on the prowl and ravenous. That was the only peg I never wanted, so how was I going to avoid drawing it? I felt the answer was to draw the last peg (something I never do) as surely it would be gone by then. 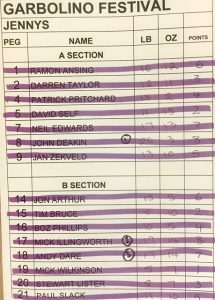 As I stood patiently at the back of the draw queue I couldn’t believe it when every single peg other than 14 was coming out. Argh! With just two pegs left in the bag I panicked and dipped my hand in. Peg 12 was my destination. 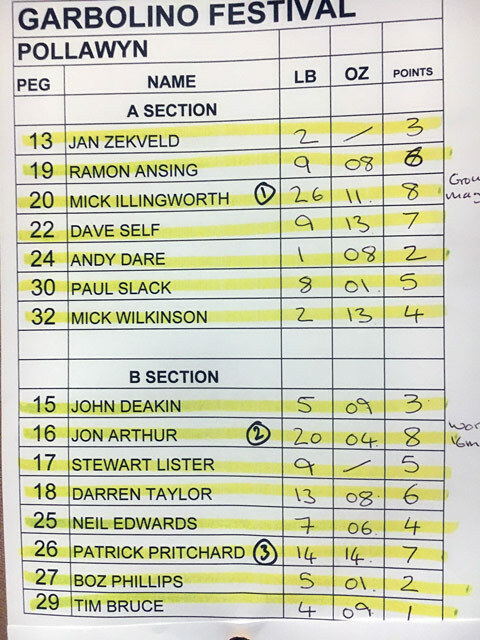 Andy Dare was last to draw and he was on 14. Unbelievable! As it happened I was dead right. 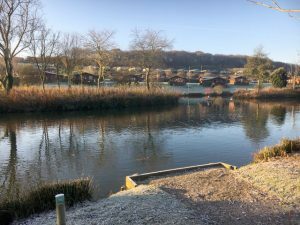 Andy had a nightmare with carp, hooking at least 15 on everything he tried and ended up with about 17lb for nowhere in the section. Me, well I had a similar fate in terms of carp numbers hooked, but I ploughed through them and also managed a load of F1s and big carassio for 51lb. That was enough to comfortably win the section and the lake. It was a flat-calm and still day and the water was surprisingly clear so, strangely for this pool, nothing fed short. 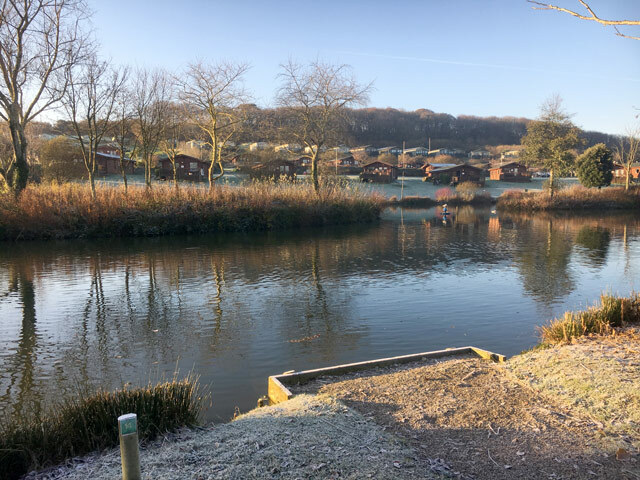 I caught all my fish around 13 metres and felt any further out would put me too close into carp territory – especially as they were rolling all over the place beyond that. I opted for a sweet fishmeal mix that I used every day consisting of Dynamite Milled Expanders, Sonubaits F1 Dark, VDE Black Turbo, Sensas Black Lake and a small amount of soil (quite literally a bit of everything!). Inside the mix I went for dead pinkies, dead maggots and chopped worm and used all these baits on the hook. I think two dead pinkies was possibly best on a size 18 Silverfish Match to 0.09mm under a 0.5g AS3 float. Any heavier a hooklength and I think I would’ve been playing those pesky carp all the way to the net and wasting time. Elastic was doubled-up No4 which seemed ideal on the day. Trelawney is my nemesis and always kicks me in the teeth one way or another. I wasn’t too happy drawing peg 6 as I had end peg 4 to my right and normally red-hot pegs 8 and 10 to my left. That meant I could realistically be looking at 3rd as a good result if it fished to form. Like the previous day, it was calm and fished really hard. 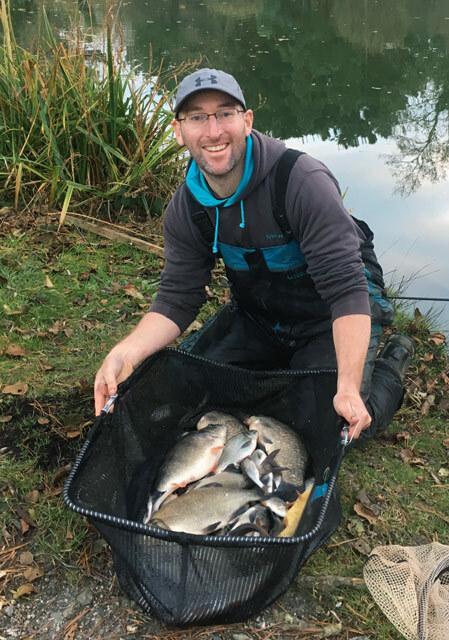 I ended up with just five or six F1s, a 1lb skimmer and some chunky roach for 20lb and 3rd in section. 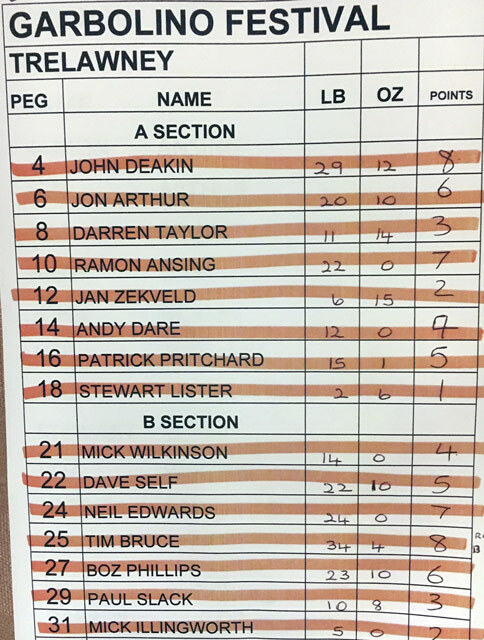 John Deakin did really well on the end peg to win with 29lb, while Ramon Ansing on peg 10 had some huge F1s in his 22lb catch, including a big one netted in extra time. That ultimately cost me a point. I told you this lake has it in for me! I’m not really sure what I could take from this match other than doubled-up No3 elastic being quite nice and also the fact I only seemed to catch where the sun was hitting the water. Fishing in the shaded spots brought no bites, despite it being much easier to see your float. 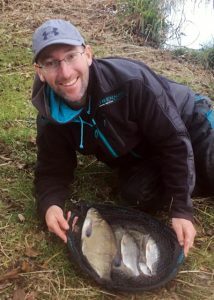 After winning this lake in the Drennan Silverfish Festival just two weeks earlier with 61lb of carassio on the waggler it’s little surprise I wanted to draw another one of these flyer open water pegs, such as 7, 8, 16 or 17. I was naturally gutted to draw peg 14 instead. This is an end peg for a reason as it’s normally nowhere near as good as the next three or four pegs to your right. At least it made my mind up to just get my head down and catch whatever I could on the pole and pray the waggler pegs didn’t produce. 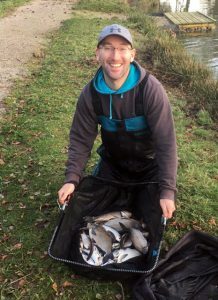 I almost got my wish as I weighed in a pretty good 15lb+ on the day and was only beaten by a 17lb and a 19lb weight off pegs 17 and 18 with, you guessed it, carassio on the waggler! Again it was clear and flat calm so there were next to no short pole fish. I caught almost everything at 13m+ rotating three or four swims. I had lots of small roach and strangely the only place I caught skimmers was on my right-hand swim closer to the better pegs. A fine 0.08mm bottom to an 18 Silverfish Match and No5 Slip elastic with a 0.2g or 0.3g AS3 worked best. The one big mistake I made was to not set up a thicker topped float at the start. I completely forgot the fact that the sun and ripple ALWAYS causes everyone problems on Jennys at some point in the day, making a finer tip impossible to see. I made a mid-match break to quickly assemble a thicker and yellow-topped Carp 5 and that definitely proved a wise decision, as it allowed me to keep catching when the sun was trying its best to drive us all mad! Again it was pinkies, dead maggots and small pieces of chopped worm that did all the damage. Casters were a waste of time. 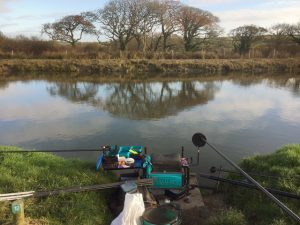 In fact, we probably had a good 3 gallon of perfectly turned casters go to waste by the end of the week as it was one of those rare weeks when they didn’t want any bait unless you were in the epicentre of all the fish. I felt happy with this result and honestly don’t think I could have had the extra 2lb I needed, unless it was a lucky bonus fish. A third from peg 14 isn’t too bad at all. 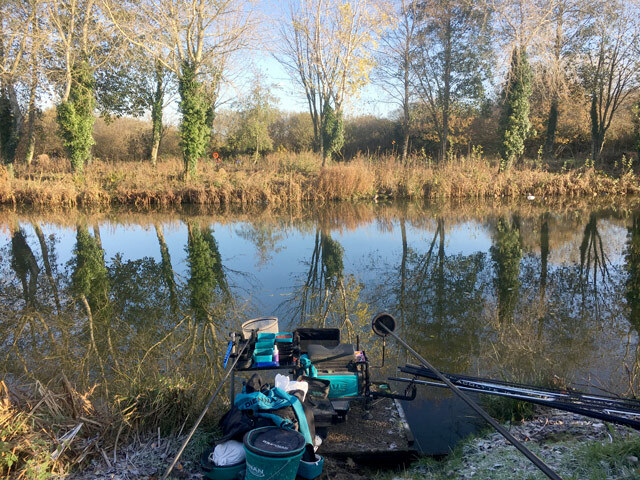 I must add that on the last day Wayne Swinscoe asked me what I was playing at as he had won the section off it with over 20lb. He then went on to explain that pegs 15 and 16 were empty so he simply cast a waggler into 16! Why can’t I have that kind of fortune!? I have to say this is my favourite lake and come summer or winter I always seem to catch a few. 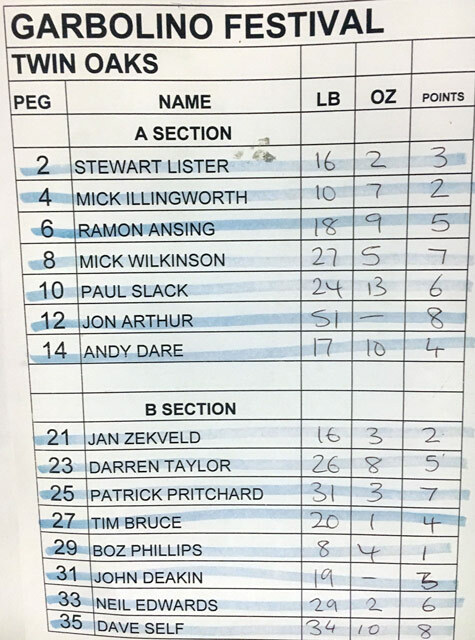 Peg 16 was certainly isn’t the best peg in the section but it’s not too bad at all. 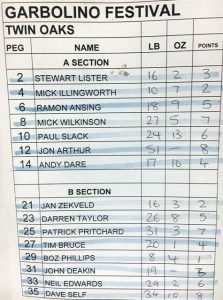 At least I had avoided the other section as peg 20 won that comfortably every single day with F1s, so you were only ever fishing for 2nd if you were in that zone! 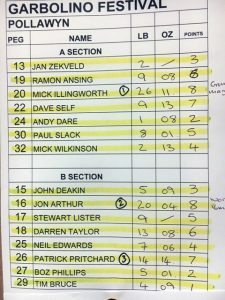 Although caster shallow weights were dominating I felt that peg 16 was a bit too on the periphery to do that effectively. I therefore started cautiously with a bottom approach while feeding a 13m caster shallow swim just in case. Thankfully my tactics worked and I managed a lovely days fishing, catching allsorts on three deck swims from 7m to 16m out. Worms seemed to be best to bypass the nuisance little roach up in the water. 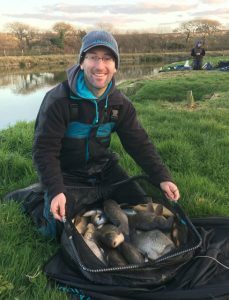 I managed some small skimmers from 2oz to 1lb, lots of roach, a 1lb+ perch and two 1lb+ carassio for a 20lb section winning weight. A thoroughly enjoyable day on my fave lake! Rigwise I found a 0.5g or 0.6g AS3 to a 0.09mm bottom and an 18 Silverfish Match to No6 Slip was quite successful. Again, the calm conditions meant I could fish quite light and sensitive floats when maybe another day I would’ve needed 1g or more. I had so far managed to stay in the top 10 all the way to the last day. Could I hold on to one of these all-important places? Er… no! I was really happy when I pulled out peg 11. 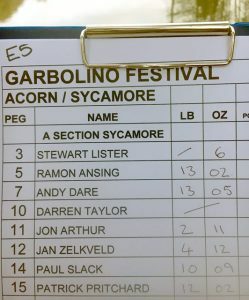 That was before I realised I was on Sycamore 11 and NOT Acorn 11 in this split section. Bugger! I have told lots of people about this peg being one to avoid as it’s always full of pesky carp. Now it was my time to discover that for myself! As happens after five days of hammer, the fish are even harder to catch and shoal up even tighter. That’s probably why I only had nine bites all day! Five of them were from carp, the other four were a bream and three roach. I never actually had a fish until three hours in when one finally succumbed to my waggler fished dead maggot. Casting to the island was extremely difficult as there was a tree directly above my head that made it impossible to do it straightforwardly. Instead, I had no option than to cast sideways with a quick swish, just like you would do if you were trying to skim a pebble across the water. It kind of worked and got in the right area a few times! After an hour of casting and casting and casting I finally snared that roach, much to my relief. Next cast I squirrelled the rig! Never mind as I then spotted the first signs of fish over my 15m groundbait swim. The telltale pin pricks bubbles and fizzing meant there was definitely something there and the culprit soon made itself known as a near-2lb bream came my way. That was sadly the one and only bite I had off this swim and the fizzers never ever returned. I managed two more roach over my right-hand swim and that was that. Oh, I also had four carp down the edge. I was praying one might be a bream or lone F1 but, alas, it was not to be. With no roach in front of me til the last hour I had no option than to fish for bonus fish like bream and F1s and that’s what I did. The angler to my right had a similar story and caught three very late roach, lost a skimmer and several carp and didn’t weigh in. 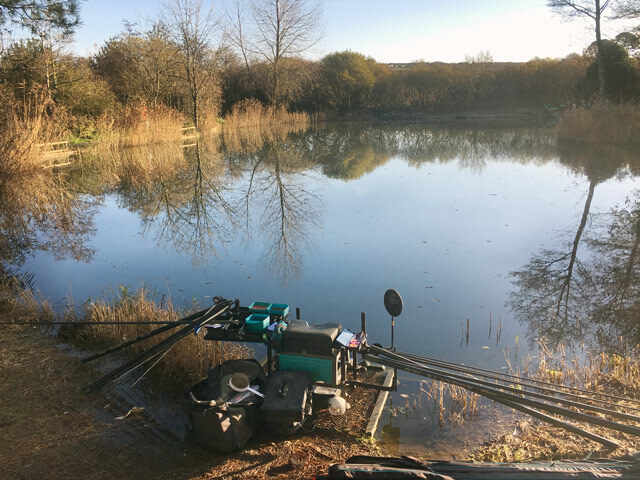 Meanwhile, the pegs in the low numbers all caught a few fish on the waggler and the pegs the opposite side of the island actually complained that they couldn’t get through the nuisance small roach! 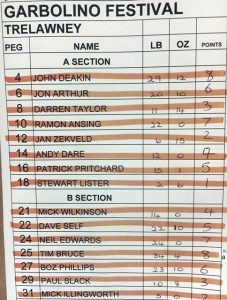 The section was won with 13lb by Andy Dare on peg 7 and there was another 13lb off 15, with an 11lb and a 12lb too off 5 and 14. 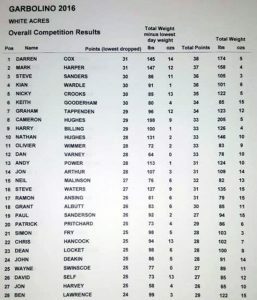 I actually still beat two anglers with my low weight! Just 15lb won Acorn, too, but I would still have loved to have been on that pool as it’s one of my favourites. Sycamore is also an excellent lake and possibly the best roach pool on the complex, but not after several hard frosts and five days of hammer. Looking back, I held on to a top 10 position all week until the very last day. I needed another 2lb on Day 5 for another section point, but that still would not have won me a bean. Another 8lb was needed to tie and maybe scrape 10th spot. Impossible off peg 11. At least for me it was! Although I was naturally a bit disappointed I was quite philosophical about it all. I’d had two really good days, two average days and one really dodgy last day. That’s not a bad week’s fishing in my book. Especially when the sport had been so tough for almost everyone. You cant win ’em all. 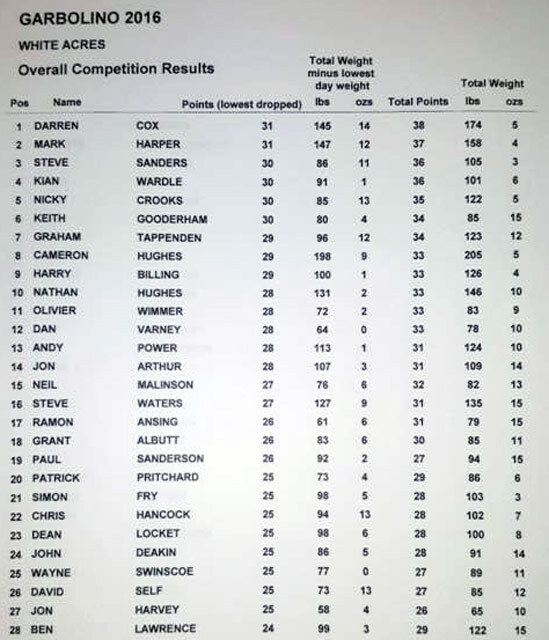 A massive congratulations to festival winner Darren Cox, second placed Mark Harper and third spot Steve Sanders. Dare I say these older ‘uns showed us all the way? Experience obviously counts for a lot and few anglers I know are as talented or experienced as these three. And they’re all really friendly and helpful guys too! I had a great week stopping with lodge mate Mick Wilkinson and had a good laugh with everyone. 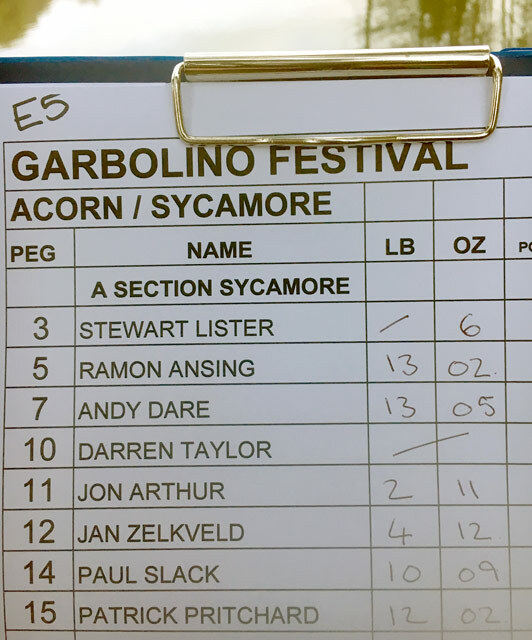 Thanks to Darren Cox and Garbolino for sponsoring it, Clint Elliott and his hard-working team for looking after us all and everyone down there who made it such a great week. It’s still the best festival I fish at White Acres and I already cannot wait for next year’s event.